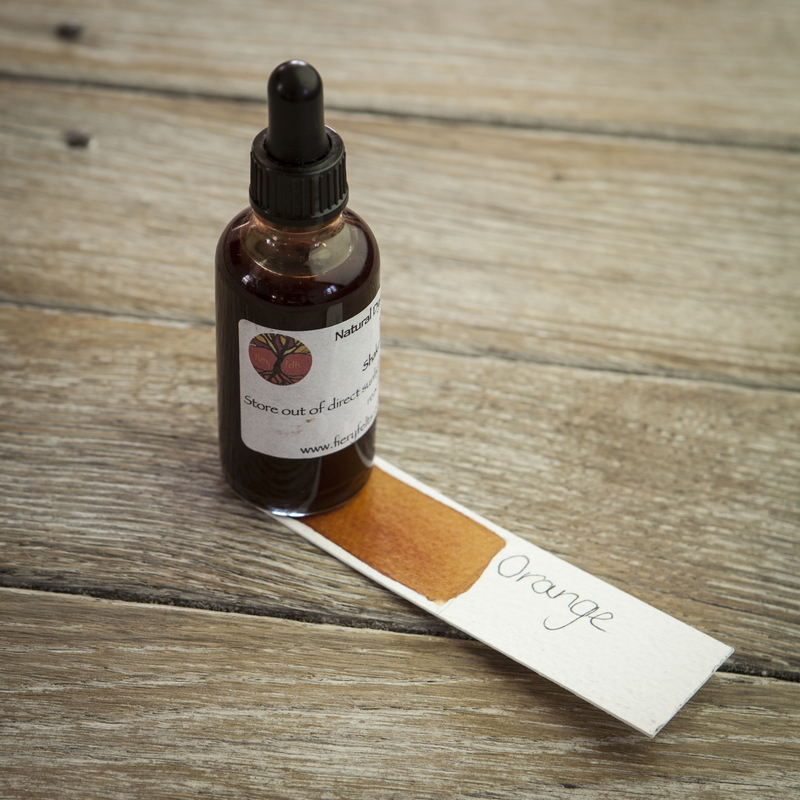 Orange Natural Dye Pigment Ink gives a range of oranges depending on the number of layers. One layer gives a soft yellowy orange, two layers – as the photo almost a burnt orange. The colour takes a few minutes to develop on the paper.